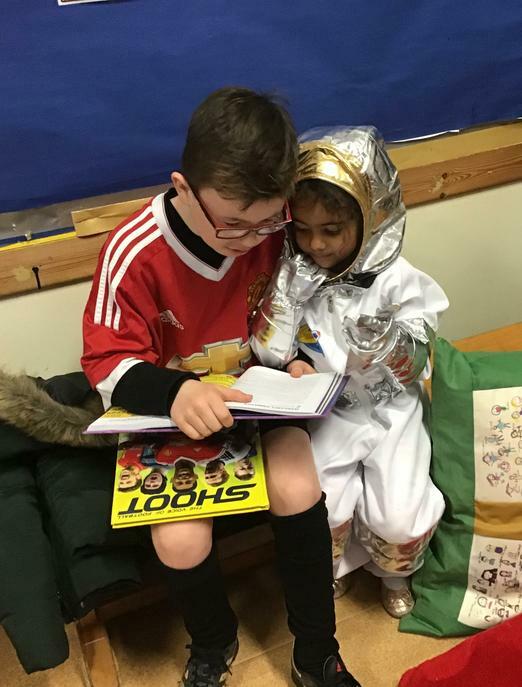 On Thursday 7 March 2019 schools across The Corinium Education Trust marked World Book Day. This year at Kemble Primary School parents were invited in to ‘Relax and Read’ with their children during the afternoon in the hall. 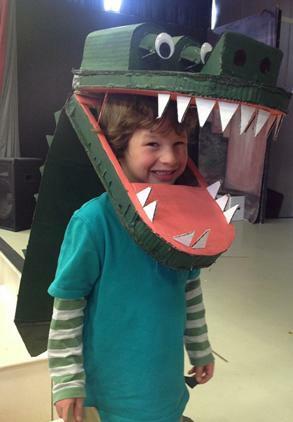 Hot chocolate was served by the Kemble Parents Group and all the children were dressed as book characters. The hall was transformed into a giant reading room, with sofas, tables, reading lamps and bookshelves brought in just for the occasion. "It was amazing" declared Louisa, mother of Olivia. Parents read with their children, teachers and other pupils read with each other. 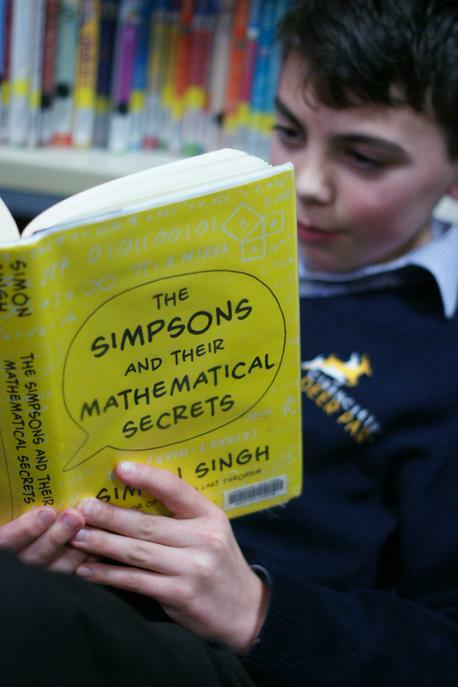 "This is all about reading for pleasure,’" said Mrs Armstrong (Head of School). 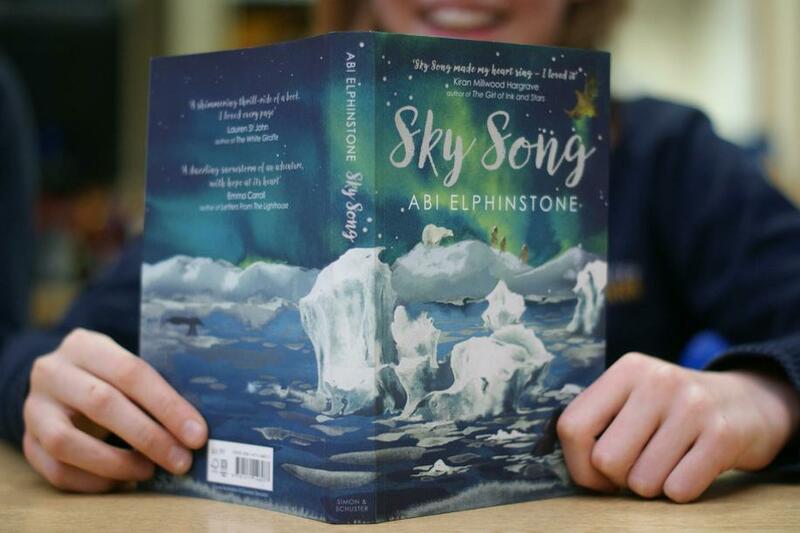 "If reading is a chore then children won't be motivated to do it and it has been proved that being a good reader enhances a pupil's achievement in all areas of the curriculum. It was wonderful to see parents come in and relax and read with their children." 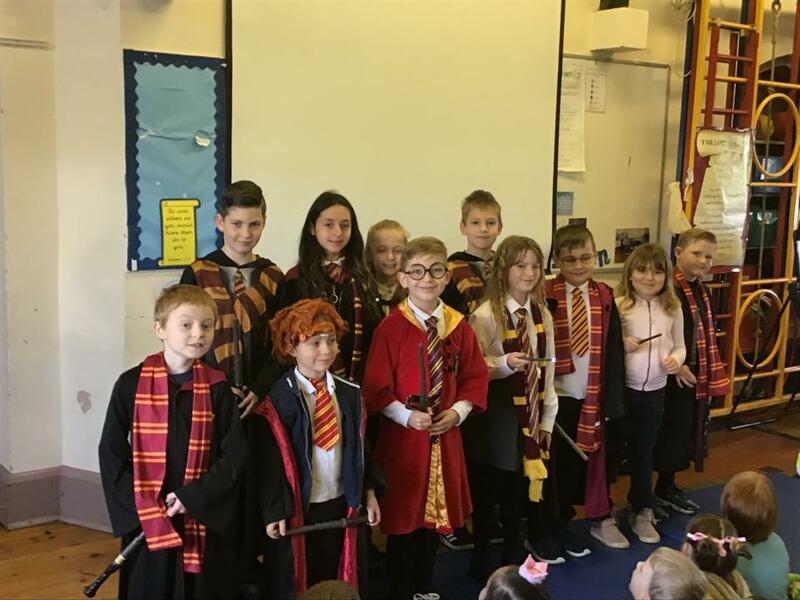 "It was great being able to read my Harry Potter book all afternoon, drinking hot chocolate," said Kit (pupil). 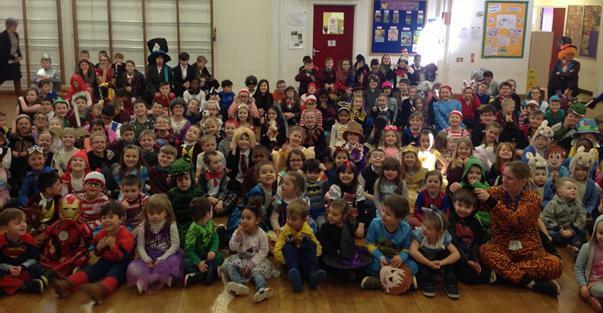 At Siddington C of E Primary School, World Book Day began with a catwalk of costumes. 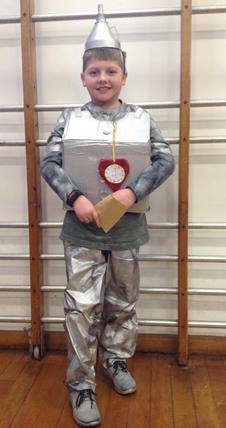 Pupils and staff represented a total of 47 different books/authors ranging from Roald Dahl to The Borrowers. Staff were dressed up as the pack of cards from Alice in Wonderland and the children listened to a chapter from the book. During the day reading was celebrated in each class with story sharing and storytelling. At break-time, children took their favourite books to share outside as it was such a lovely day. In addition, our Open The Book Team kindly judged a competition for the best ‘Book on a Plate’. The children brought these into school to add to our new library display. The two winners each received a £10 book voucher. The afternoon saw the school hall transformed into a cosy lounge area with rugs, sofas and cushions. 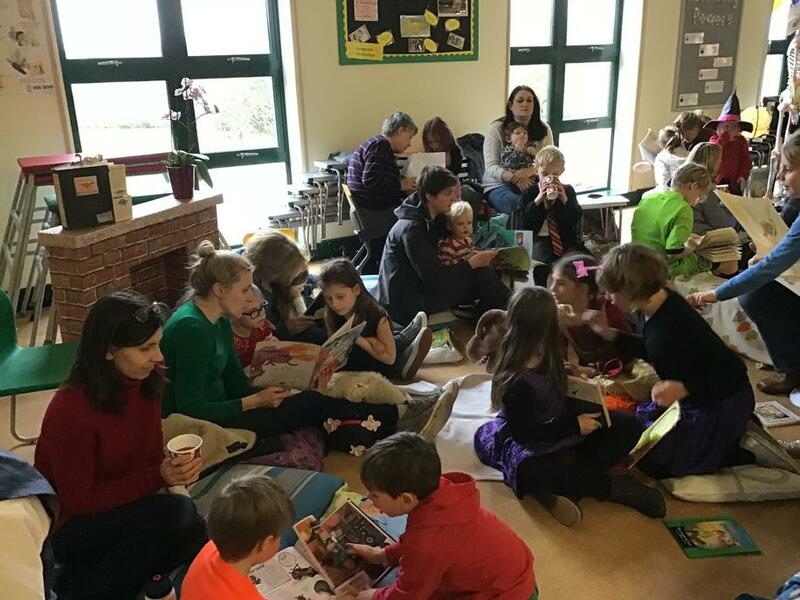 Parents and grandparents came to school to have a cup of tea or a mug of hot chocolate (kindly organised by the PTA) whilst reading to their children. It was an amazing atmosphere. 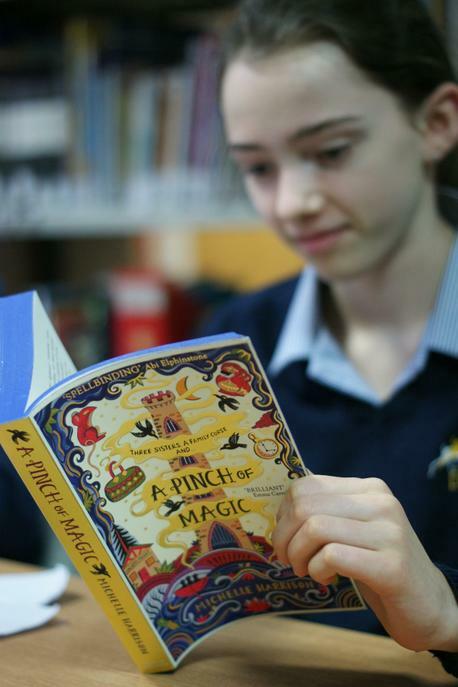 "Each child left school buzzing with a love of reading as well as their voucher to exchange for a book. We can’t wait for next year." Mrs Hamlett, Head of School. 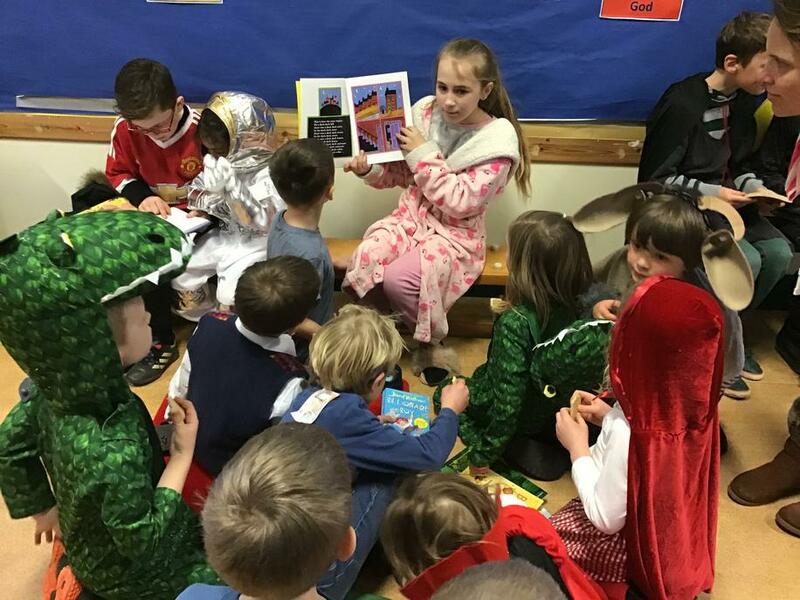 To raise funds to purchase books for the school’s library, children at Chesterton Primary School also dressed up as characters from their favourite books. 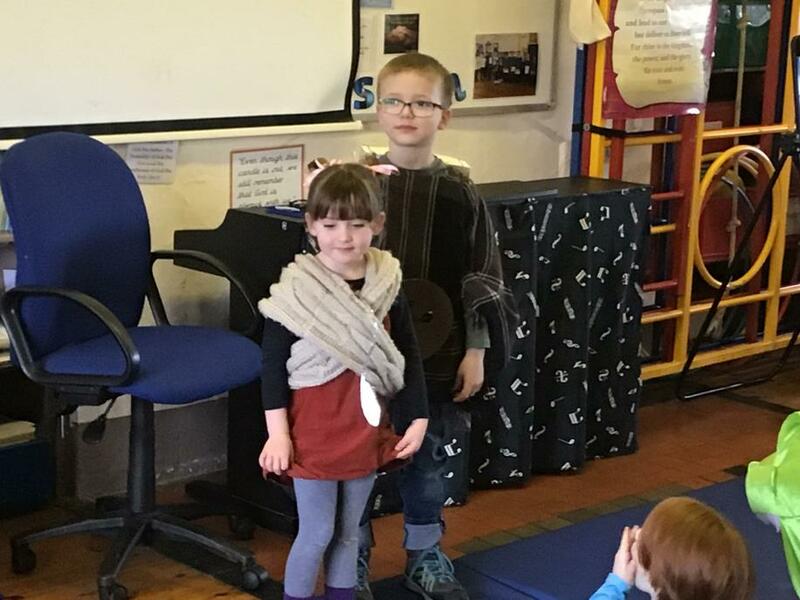 The day was organised by teacher, Sally Terry, in conjunction with Octavia’s Bookshop in Cirencester. 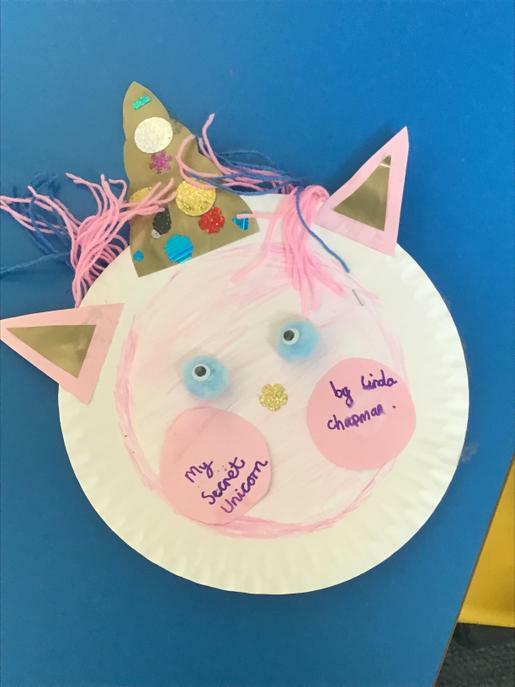 Headteacher, Karen Venner, said, "I had the pleasure of judging the best dressed book character and to select just two winners was a very hard as the children had gone to so much work with a great deal of imagination." One of the Year 9 pupils said "Readathon 2019 was a fun experience! It gave us the opportunity to read all day for a good cause: raising money for books for children in hospital. Plus, we were supplied with hot chocolate and biscuits to keep us going! I recommend this to anyone who loves reading, or who wants to help a great cause."